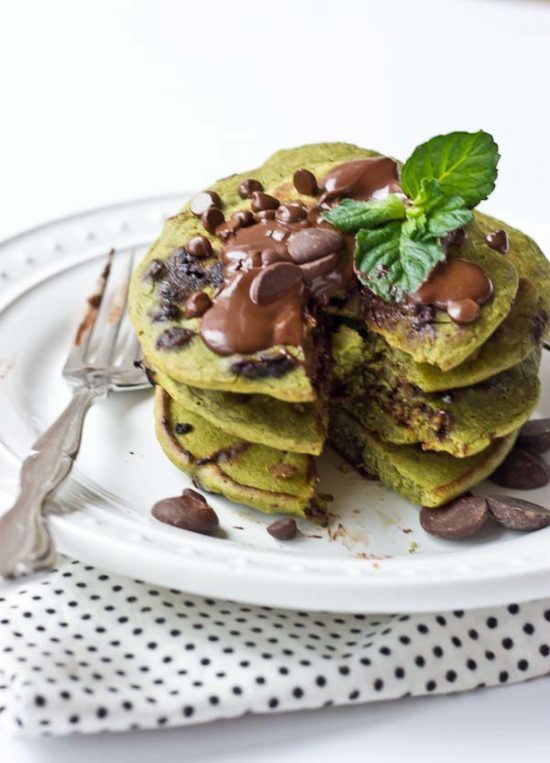 Start your morning with these Mint Chocolate Chip Blender Pancakes! 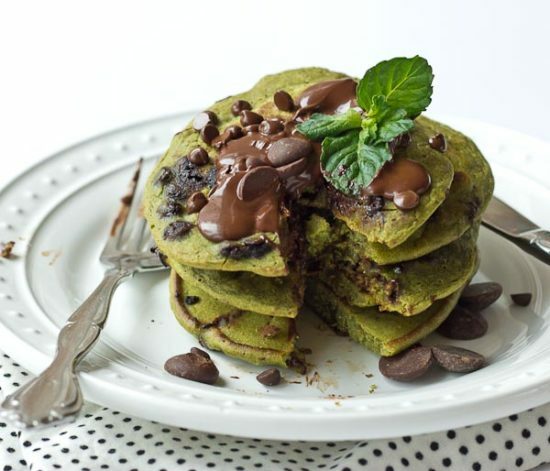 These taste like Mint Chocolate Chip ice cream but in pancake form. 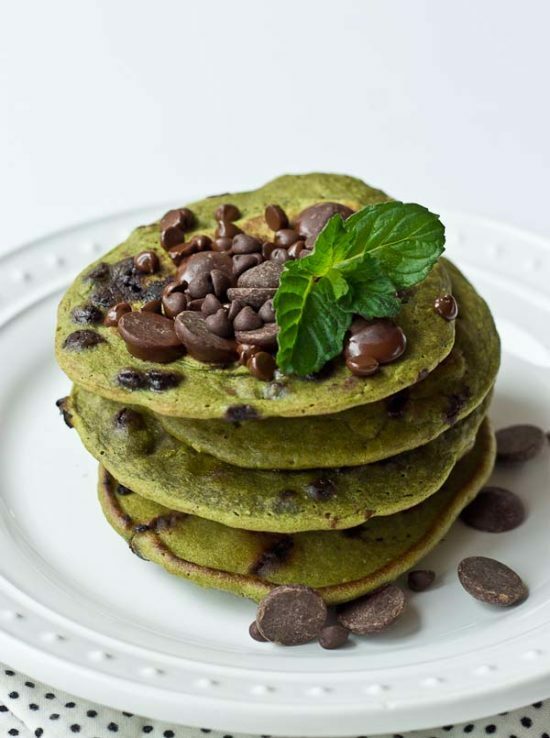 Get your green pancake on just in time for St Patty’s Day! Whole wheat, dye and coloring free, dark chocolate, and a hidden source of veggies for breakfast. “Good morning, good morning, I love you good morning.” This is a song that my mom sang to us and I find myself singing to Parker in the morning when he wakes up. 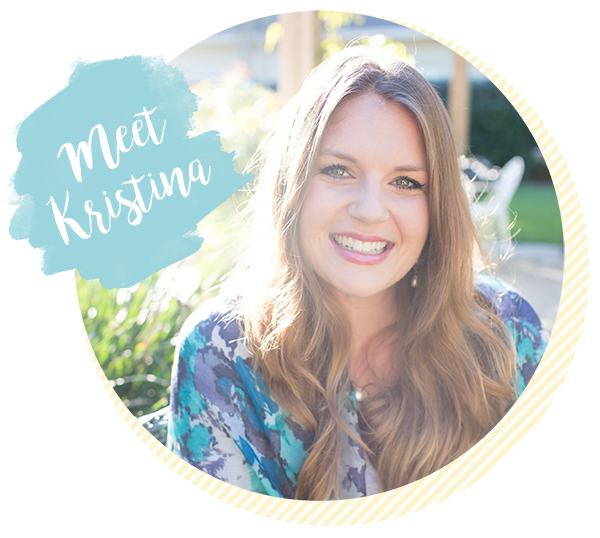 He has the biggest smile on his face when he hears me sing it– that gummy grin is just the best first thing in the morning. I love that he wakes up happy. He typically gives me a few minutes to get some things done before I have to pick him up. Which is typically poring myself a cup of coffee, of course I don’t actually get to drink it but at least there is an attempt at coffee. Currently we are working on independence, I really don’t know what I’m doing but our little babe is attached to my hip all day and night errrr day and night. As I’m writing this post he’s squirming on the floor in his play gym, totally not amused because he wants me to pick him up… but after a night of him sleeping right on top of me because that’s the only way he would actually sleep last night, mama needs a few minutes of lone time. 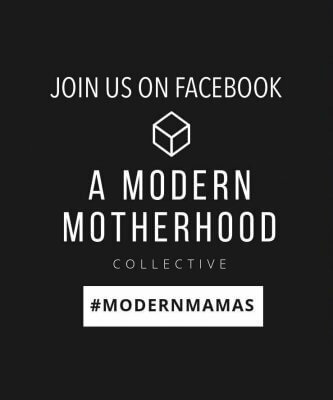 I feel like we’ve tried everything to get him to sleep in his crib at night and sometimes it works for a few hours and other times it’s an all out protest. 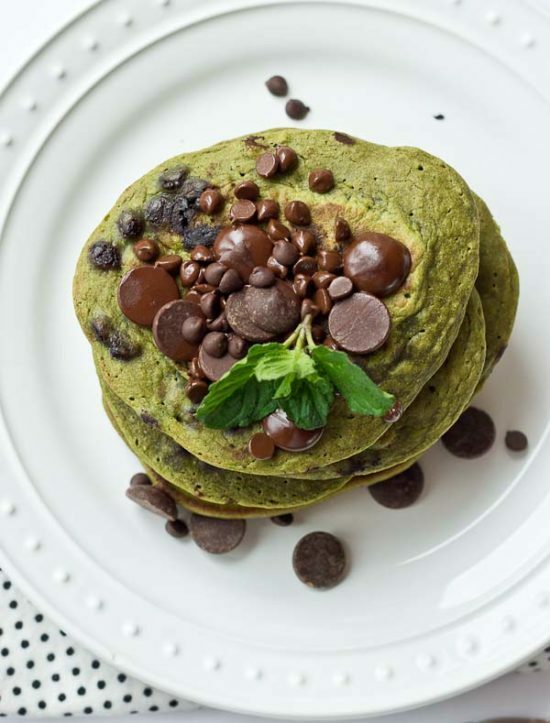 So I made these Mint Chocolate Chip Pancakes 100% in the blender with whole wheat flour, lots of peppermint extract and dark chocolate. And because I wanted to make green pancakes for St Patty’s Day minus green food coloring, spinach was tossed into the blender too. 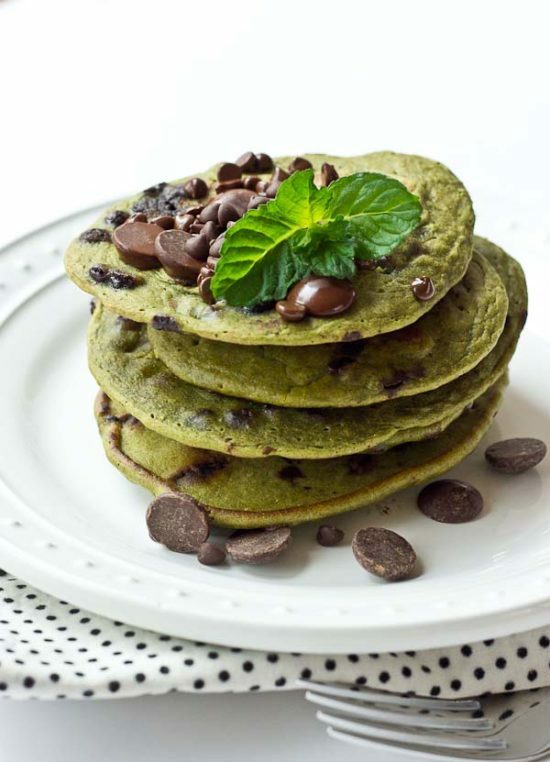 These spinach pancakes are a fun way to get green veggies in the morning at breakfast time. I swear there is zero spinachy taste, it just turns the pancakes a festive green color. In a blender, puree spinach, egg, coconut oil, almond milk and peppermint extract. Add in baking soda, salt and stevia and pulse to combine. Slowly blend in flour until incorporated. Grease non stick skillet with butter and heat to medium. Pour batter on preheated skillet and sprinkle 1 tablespoon chocolate chips into each pancake. Flip when pancakes begin to rise and are bubbly. 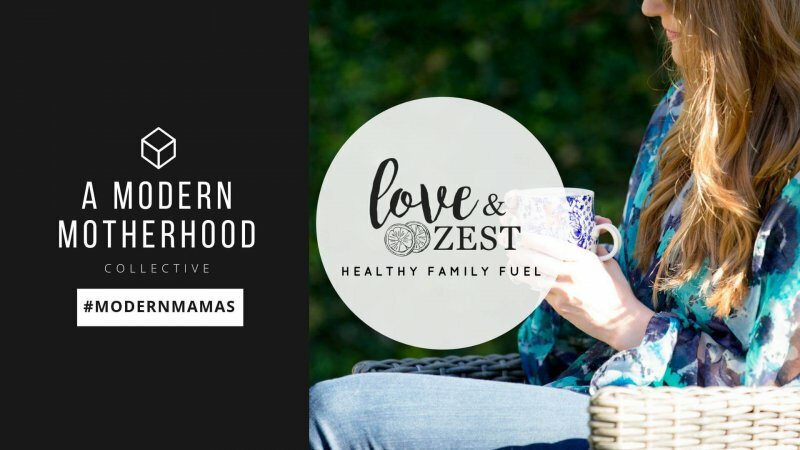 Adjust heat as needed to prevent burning.